When you apply for a loan, there are many documents that you will need to provide to a lender. The purpose of each of these documents is to determine your ability, or inability, to pay back a loan. The banks will use these documents to decide if you are a viable candidate for a mortgage loan. Read: Your 14 Step Pre-Approval Checklist. 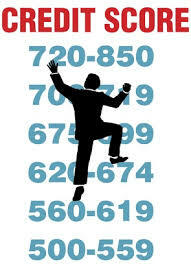 ▪ Social security number for anyone who is on the mortgage loan. This information can be verified through a Social Security card or tax documents. The lender needs this to verify your identity, and also be able to pull your credit history. ▪ Proof of employment. Your mortgage lender will request a list of employers for the last two years, minimum. This document will ask you to submit each employer’s name, mailing address and phone number. This information is critical to the lender, as it will give them an idea as to whether or not you are a risk. See: Things You Shouldn’t Do When Applying for a Mortgage. ▪ Proof of income. These mortgage documents are used to validate your income. It can come in several forms. This will be your two most recent pay stubs. It’s your average annual income the lender wants to know about. The lender will also use tax records to verify your earnings. ▪ Tax documents. This is a standard document for mortgage pre-approval. Most lenders want to see your W-2 statements and tax returns for the last two years. These W-2 statements will also show how much income you accrued over previous years as well. ▪ Place of Residence. This one is self-explanatory. The lender wants to know where you’ve lived for the last couple of years, and maybe longer. The longer you’ve lived at a residence, the stronger candidate for a loan you become. Banks like to see stability, rather than a person who has moved many times. ▪ Bank account information. When you apply for mortgage pre-approval, the lender will want to know how much money you have in the bank. 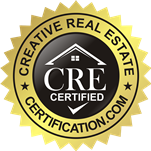 They need to ensure you have sufficient funds for your closing costs, and down payment. So they will probably ask you for account statements and balances for any checking, savings, or money market accounts. ▪ Credit information. 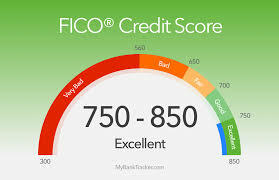 This information is required, as the lender needs to know how many other outstanding loans you have, if any, as well as your payment history on them. These loans may include a car loan, a loan on another current property, or student loans. Read: How Much House Can I Afford? ▪ Gift letters. Gift letters must be provided if you have someone helping you with a down payment, such as a family member. The lender needs to make sure that the money is a genuine gift, and that they do not expect any form of repayment from you. ▪ Monthly expenses. Many mortgage companies will ask for an itemized list of your monthly payments. This can include things such as credit card bills, student loans, rent, or utilities. My mortgage application was denied..why? These words sound harsh, but they don’t always mean you can’t get a mortgage. Lenders reject about 1 in every 2 applications they receive to refinance a mortgage, according to the Mortgage Bankers Association. About 30 percent of purchasers who apply for a mortgage are turned down. Despite the tight lending environment, borrowers shouldn’t always take “no” for an answer. 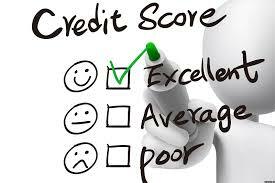 In some cases, they just need to apply with a different lender or take a few simple steps to improve their credit. Lenders have different requirements. Not every borrower is appropriate for every lender, which doesn’t mean they shouldn’t get a mortgage. Not all borrowers are successful when they reapply. You know the saying..if at first you don’t succeed.. try again!